I’ll state the obvious: this computer is yellow. And not yellow in the way I like my stuff to be – it’s the nasty yellow of bromide interacting with UV light. This is the yellowest system I’ve ever owned, and maybe partly as a result, I just never “took” to it. It was hard to look at, and I just never felt like doing anything about it (I know all about retr0bright). It was a gift from my brother and I was still highly appreciative, especially since my proceeds from selling it went to purchase my Apple IIGS. I feel that was a fair trade, and I ended up with the computer I really wanted. 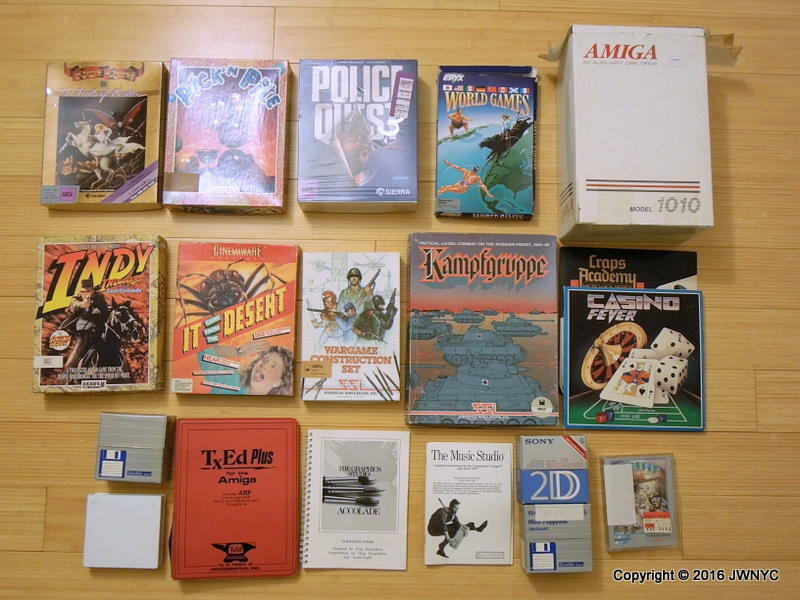 I know the Amiga is more powerful, but I also know that it has less available software (ie. games) and frankly, I just don’t know how to use it. It took me probably 2 hours of fiddling around just to get the main desktop screen you see above. 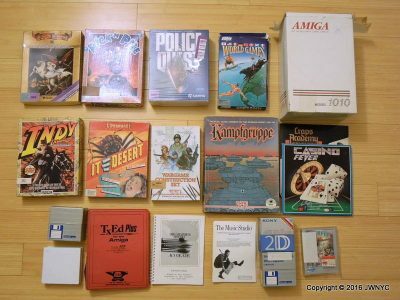 I am just not an Amiga guy, and at my age I don’t have the patience or really the desire to become one. This was the very first Amiga model, and it was just called “Amiga”. 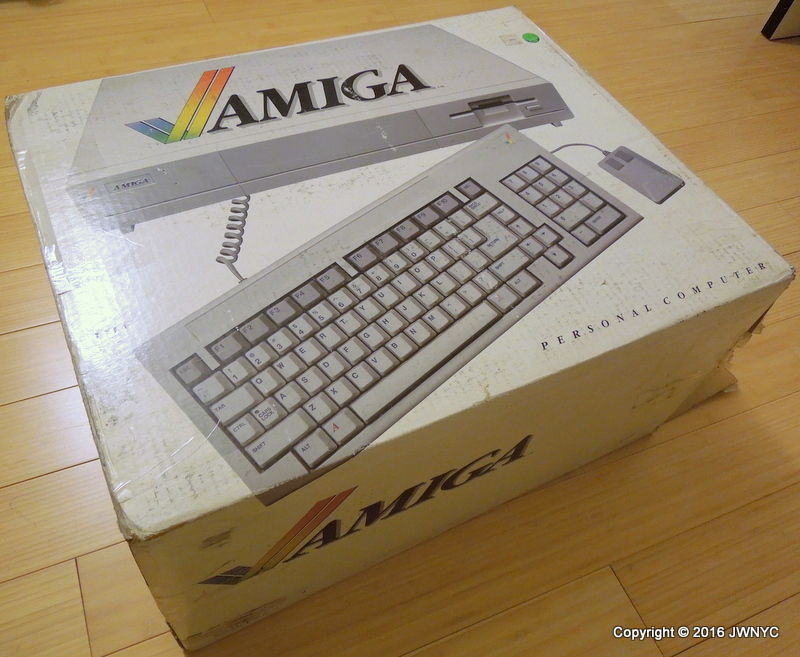 No number at all, although it was later designated the Amiga 1000, after the 2000 and 500 were released. It wasn’t even really called the “Commodore Amiga” anywhere (although colloquially, it certainly was). Some decent software, most of which I never got to work. I don’t know if I’m just an idiot or if it was really broken – all of this stuff’s old, and disk media is fragile. This particular Amiga also seemed to have some issues – all the connectors felt a bit loose and wonky. But it’s thoroughly possible I was just “doing it wrong”. 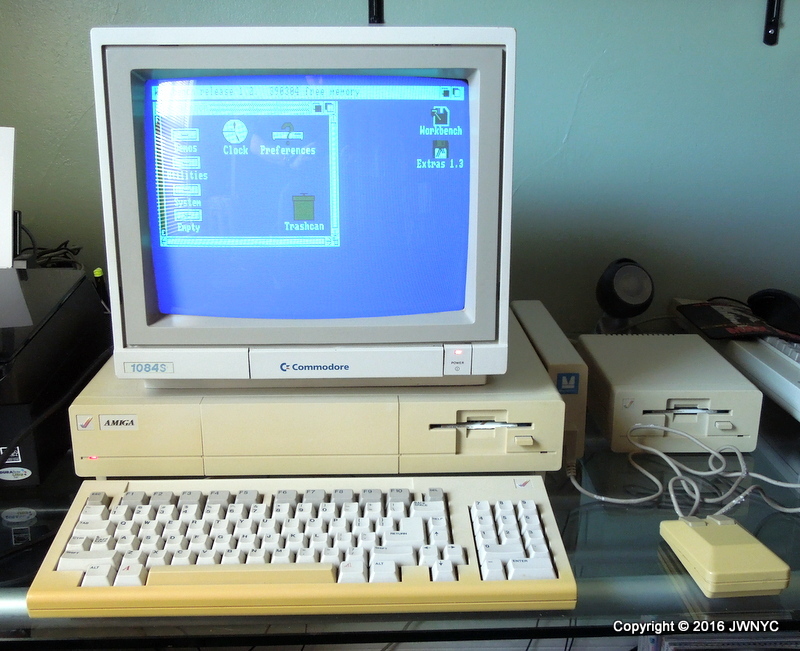 I do like the design of the Amiga, and the fact that the keyboard hides away in its own little doghouse under the main system. I also confess that I really wish I kept that monitor – I’ve realized now that it’s sort of the holy grail of vintage monitors and will run with pretty much anything. All of the other vintage computers I have will work with it, which is not something possible with really any other monitor. I’m trying to source another one for a reasonable price right now.